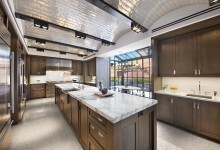 At 213 West 23rd St., a four-bedroom three-and-a-half-bath condo (listed at $12.950 million) includes an upper level kitchen/living/dining room that overlooks a second entertaining space below. 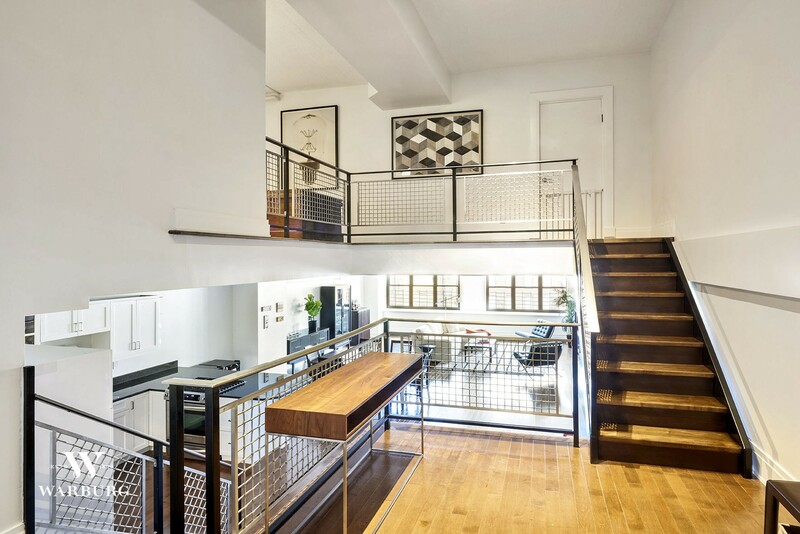 The nice thing about a mezzanine (think: a balcony located inside a an apartment) is that its presence calls for double-height ceilings that create a vastness rarely found in New York City. Here are six eye-popping listings with this covetable feature. 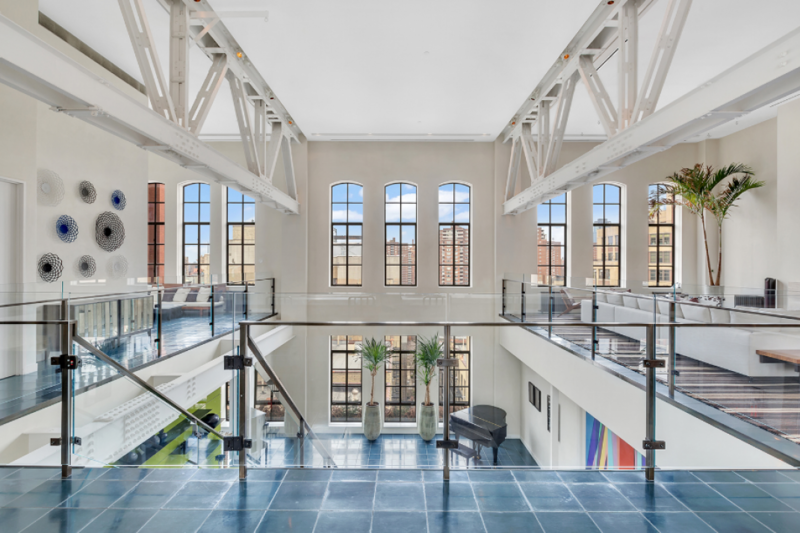 Located in what was once the gym of the former NYPD headquarters at 240 Centre St., this four-bedroom, four-and-a-half bath condo features a mezzanine library/lounge that looks out over a massive living and dining room. 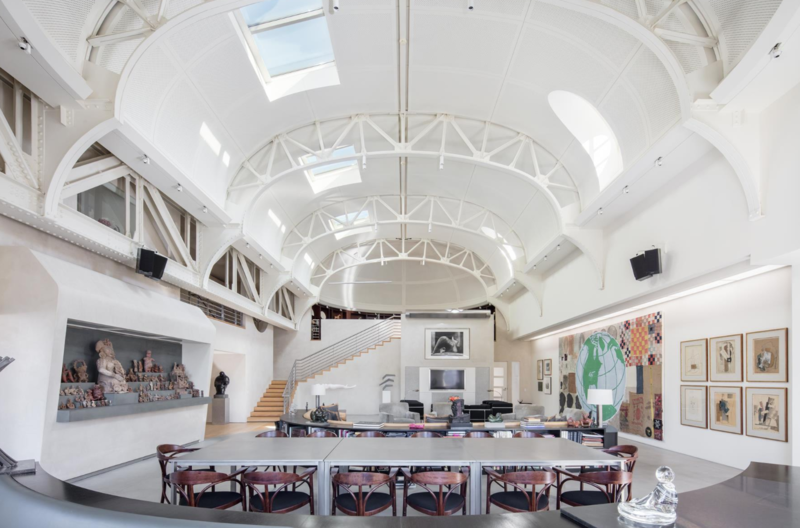 It's yours for $18.5 million. 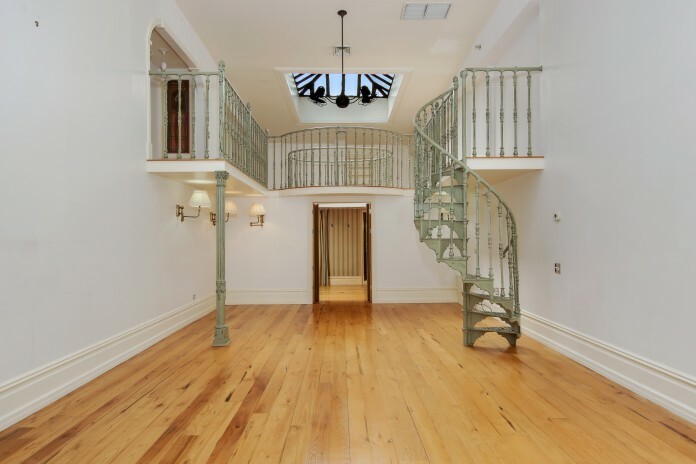 A sky-lit mezzanine accessed by a circular wrought-iron staircase adds extra space (an office, perhaps?) 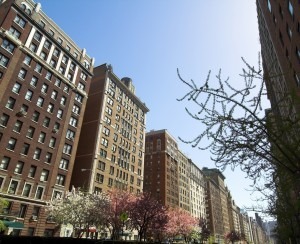 to a one-bedroom loft rental at 831 Broadway near Union Square. The asking rent is $14,000 a month. This seven-bedroom, single-family townhouse at 7 East 67th St. on the Upper East Side boasts a wood-paneled library and walls lined with bookshelves—some accessible via the mezzanine. 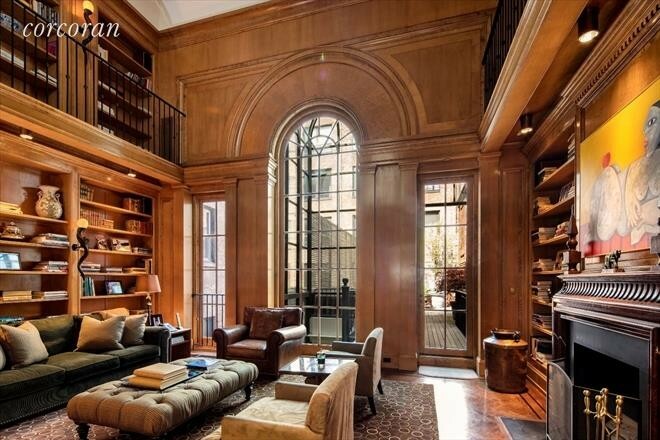 It's on the market for $36.5 million. Twenty-foot ceilings on the “parlor floor” of this modernist four-story "townhouse" condo at 169 Water St. in Dumbo (asking price: $5.995 million) allow for a mezzanine-level media room with a Sonos sound system and glass half walls to let the natural light in. 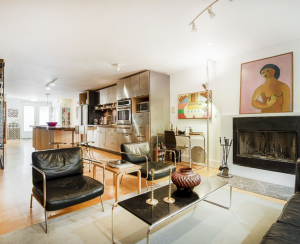 Finally, this two bedroom, two-bath condo at 535 Dean St. in Prospect Heights features two landings that peek out over open common spaces below. 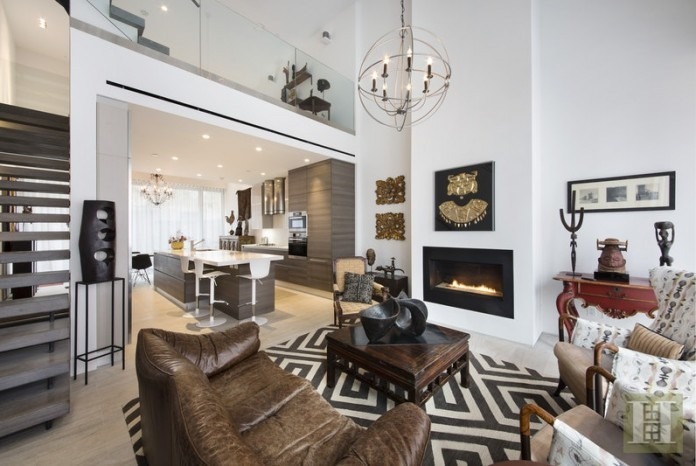 It's priced at $1.835 million.